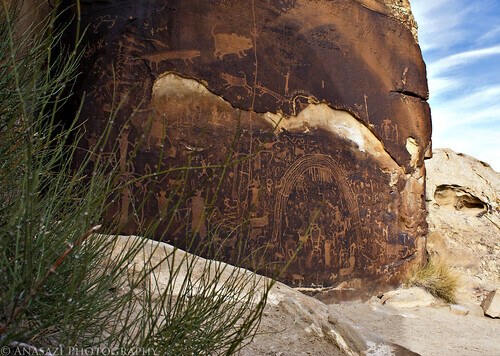 A different perspective of the very impressive and well known petroglyph panel at Rochester Creek in the San Rafael Swell. Some rock art experts attribute the panel to the Fremont, while others believe it is Barrier Canyon Style….I’m guessing it is a mixture of both with some other later styles in there, too. It’s an amazing panel and there are many other petroglyphs located nearby, so I will have to post some closer and more detailed photos in the future.